Please check out the relaunched website heathernova.com, Heather Nova's offical website! It contains news, a bio, a discography, tour info, media files, images, and has a shop. "Hosted by" is a series on the Austrian music TV channel GOTV. 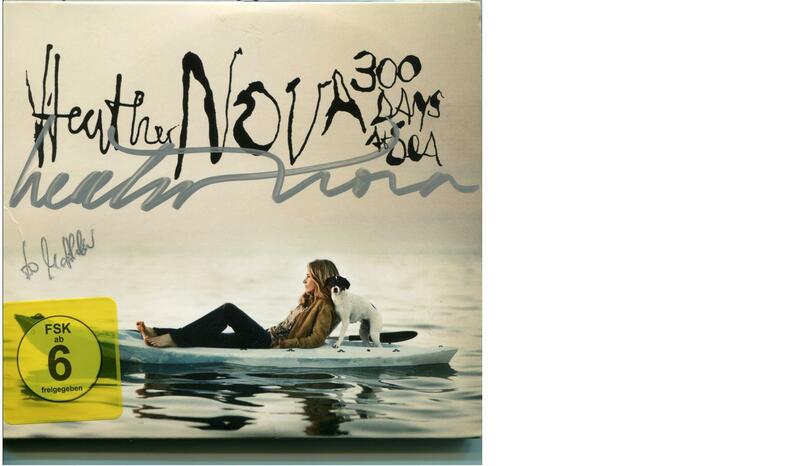 Heather Nova will present songs of her choice and talks about the new album. Times are European daylight saving time. Many thanks to Sabine for this information! Arrested Development, Au Revoir Simone, Ben Folds, Peter Gabriel, Mary Hopkin, Moby, Maroon 5, Neon Trees, Ozomatli, Heather Nova, Iggy Pop, Carmen Rizzo, Salman Ahmad, Slightly Stoopid, Dave Stewart, Andy Summers and Tom Waits. Meanwhile i wanted to tell you about another project - i have donated a track (live acoustic version of "doubled up") to the David Lynch Foundation Music project. All Profits Will Support their mission To Teach One Million At-risk Youth to Meditate, dramatically reducing the traumatic stress in their lives and transforming violent, stress-filled schools into places of peace, coherence, and creativity. This is a cause close to my heart and i am excited to be a part of this project.